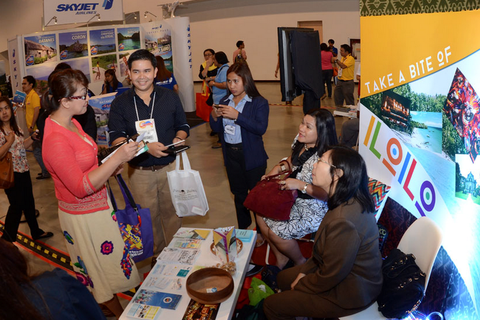 Trade expos are ideal venues for reaching out to potential clients and establishing industry connections. Your business can possibly maximize participation in such events through the following strategies. Like a lot of other SME owners, I participate in trade shows to network and expand my client base—these exhibits provide all sorts of sales opportunities. But in a huge hall with lots of other similar ventures, how do I stick my head out and maximize my participation? In all the trade expos I’ve handled as part of my work with industry associations and government trade agencies, the biggest, most common waste I’ve always observed is the notion that foot traffic is the sole (pun not intended) event benefit exhibitors can capitalize on. Now, while incidental sales from foot traffic isn’t all that bad, let us not forget that these expos are not all about that. In order to maximize one’s participation in these events, one can look at the major opportunities to (1) ride on the immensity of the event, (2) make the most out of the industry exposure, and (3) combine insights gained to develop new innovations that can support your brand. Use all available tools to make your brand visible. Being present in multiple channels—e.g. blogs, websites, and social media networks—keeps your brand from drowning in a sea of messages and increases your perceived bigness. Don’t be afraid to share the story of your work. This helps your viewers connect with your brand. Don’t just talk about your own brand. Huge trade expos are often national movements—use the opportunity to support the local industry. Talk about trends, and relate global movements with the products and topics featured in the event. This makes people see you as a resource or authority in a certain discipline, and makes your content more shareable. Ride on the event’s popularity. Use appropriate hashtags to increase the likelihood of getting your posts to appear in features about the expo. Start a topic online and answer questions. Join conversations started by other exhibitors to create more buzz for the expo and build relationships with other participants. Use the expo as an opportunity to meet potential creative collaborators and business partners. Attend socials, and never forget to prepare your portfolio and business card. Also, look to other industries and categories for inspiration and wisdom. Exploring multiple disciplines enriches your practice. Recap the event through unused photos, video recordings, and other materials generated during the event. Evaluate the topics, questions, and answers that came out on your pages and repurpose them for future blog/social media posts. Follow up on the new business and creative contacts soon after the event and sustain your relationships with them. You could be nurturing the next big collaborations or partnerships. Now that you’ve gained new insights and ideas, and made new connections, it’s time to innovate. Develop something new, and use it to further your business. Expos are perfect venues for expanding not just your client base, but your knowledge base and industry connections, as well. And always remember—expo activity is not confined within the trade halls alone.